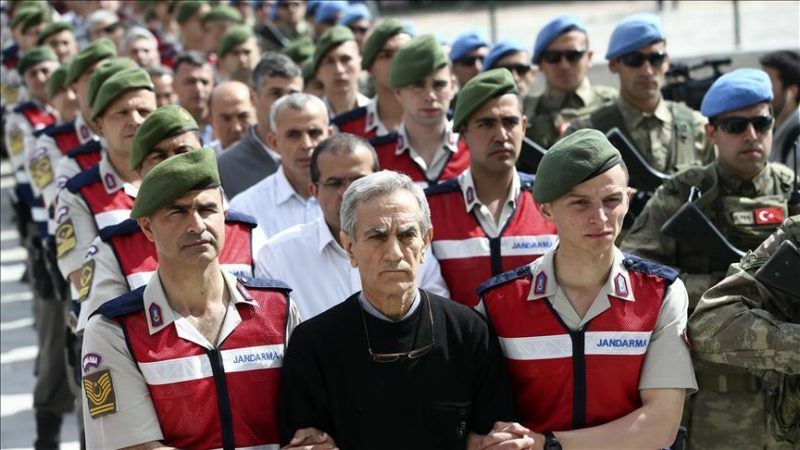 More than 220 suspects, including over two dozen former generals, went on trial yesterday (22 May) accused of being among the ringleaders of last year’s attempted coup against Turkish President Recep Tayyip Erdoğan. Furious protesters outside the court demanded the death penalty and flung nooses at the defendants as they were marched into the building handcuffed and held by the security forces. Turkey blames the failed 15 July putsch on US-based Muslim cleric Fethullah Gülen, a claim he strongly denies, and has launched a relentless purge against those deemed to have backed the plot. President Recep Tayyip Erdoğan said that Friday’s failed coup (15 July) was a “gift from God”, giving him the chance to re-shape the country, and purge the country’s elite from enemies, who accuse him of creeping Islamisation in the traditionally secular state. Gülen is among 12 of the 221 suspects in the current trial who remain at large. The remainder appeared in court for the first time inside a prison complex in Sincan outside Ankara. Turkey’s parliament voted overnight to extend emergency rule by three months in a move which the government said was needed to sustain a purge of supporters of the US-based Muslim cleric accused of directing July’s coup, state media said on Wednesday (4 January). The suspects were paraded into the building by heavily-armed security forces forming two columns in front of television cameras. “We want the death penalty, we don’t want them to be fed and housed here. We want these traitors to be buried without any flag,” said protester Cengiz Ozturk. 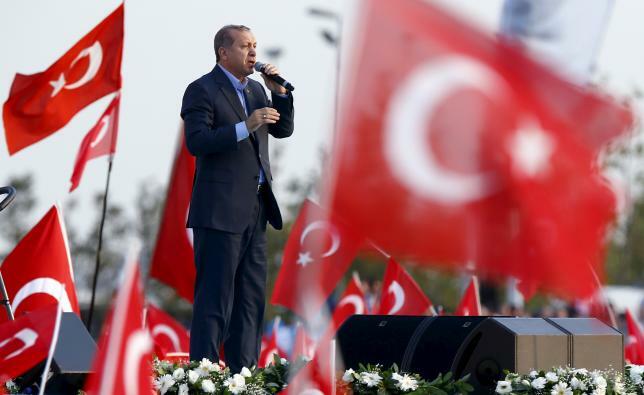 Turkey abolished the death penalty as part of its drive to join the European Union but Erdoğan has on occasion indicated it could be reimposed to deal with the coup plotters. Twenty-six generals are among those charged, including former air force chief Akin Ozturk and Mehmet Disli, the brother of senior ruling party lawmaker Saban Disli. Also on trial are colonel Ali Yazici, Erdoğan’s former military aide, and Lieutenant Colonel Levent Turkkan, who was the aide to Chief of Staff General Hulusi Akar. The most prominent figure among the suspects, Ozturk was dressed crisply in a black sweater and held a blue file as he was led into the court. His appearance contrasted with the last known image of him which showed him bearing injuries including a bandaged ear after his capture two days after the coup bid. The first suspect to give his defence, Ozturk vehemently denied any link to the coup bid. He described how he devoted his life to the Turkish military and said the charges were “unfair accusations”. “These accusations are for me the greatest punishment,” he told the court. In a tense start to the trial, relatives of coup victims shouted “martyrs don’t die, the motherland cannot be divided”, a refrain often used by the public and politicians in tribute to those killed during the putsch. A mother of one of those killed yelled at the suspects before she was taken away by force. The case is being heard in Turkey’s largest courtroom, which was purpose-built to hear trials related to the coup, and has space for 1,558 people. There was heavy security in place, with a drone flying overhead and armoured security vehicles on site as well as snipers on the roof. Almost 40 of those on trial are accused of being part of the “Peace At Home Council”, the name the plotters are said to have given themselves on the night of the failed coup. 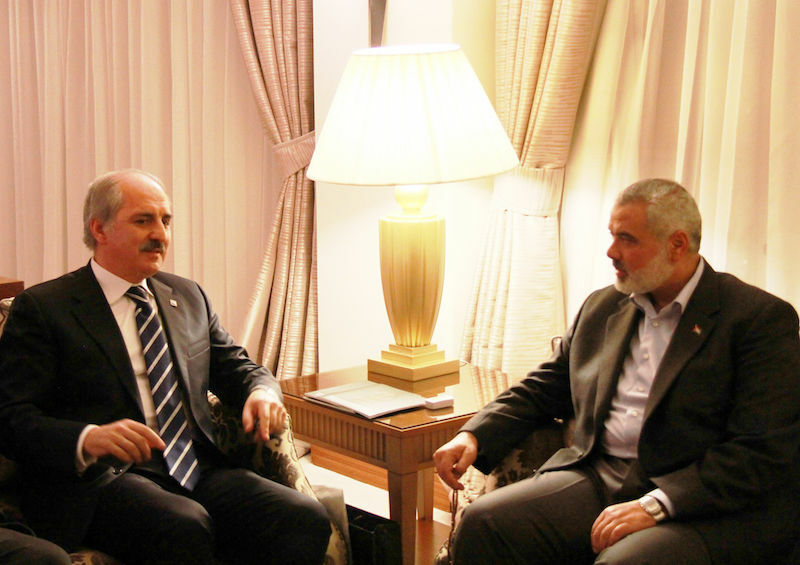 The charges against them include “violating the constitution”, “using coercion and violence in an attempt to overthrow” the parliament and the Turkish government, “martyring 250 citizens” and “attempting to kill 2,735 citizens”, Hurriyet daily reported on Sunday. The attempted putsch left 248 people dead, according to the Turkish presidency, not including 24 coup-plotters killed on the night. The trial is one of many being held across the country to judge the coup suspects in what is the biggest legal process in Turkey’s modern history. The vast Sincan courtroom hosted in February the opening of the trial of 330 suspects accused of murder or attempted murder on the night of 15 July. More than 47,000 people have been arrested on suspicion of links to the Gülen movement in an unprecedented crackdown under the state of emergency.